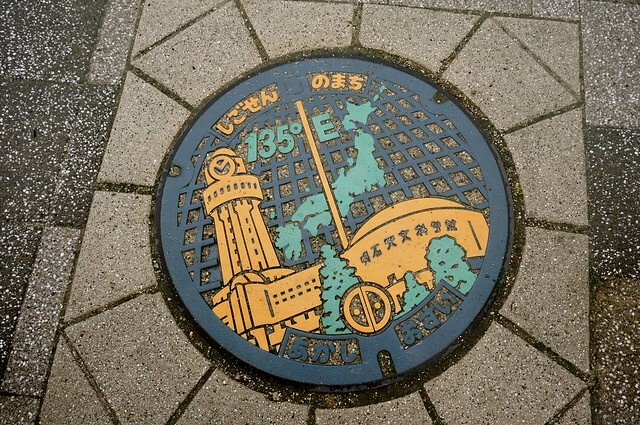 This manhole features the Akashi Planetarium which is located at exactly the 135 Meridian East, the latitude that represents Japan’s position in the international date line. 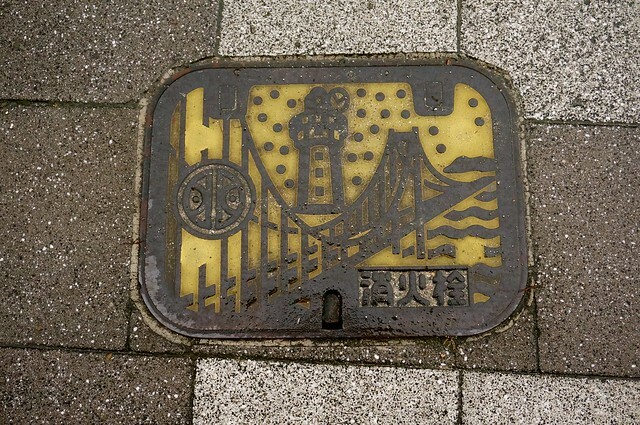 This manhole features Akashi Bridge, the planetarium, and the Akashi emblem. The Akashi bridge, is a very pretty bridge to see! 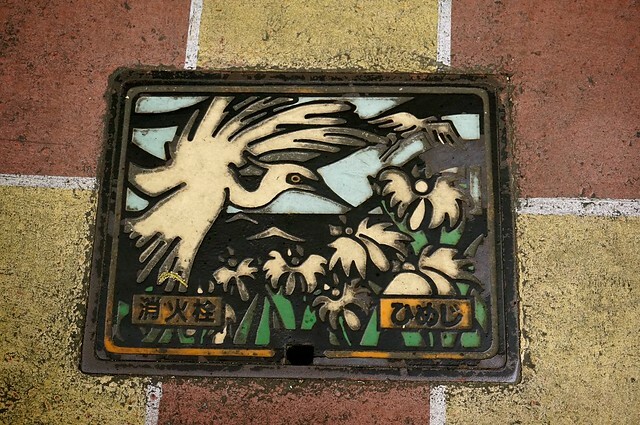 This one features the Shirasagi (white heron, including egrets) which is the city’s official bird. Does Manila even have an official bird? Do sparrows count? 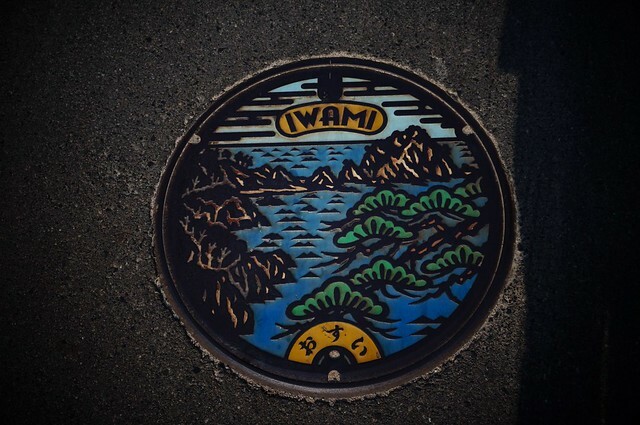 Iwami’s manhole features their famous rock geopark which is honestly just as stunning as this manhole! Vibrant and colorful but unfortunately, there’s a lot of cities with this design. I found this while walking from Akihabara to Ochanomizu. 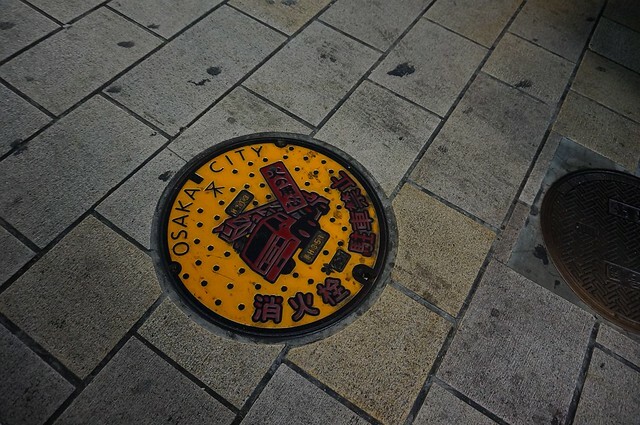 I’ll probably add more in future posts but I hope I could get you started on a manholespotting journey with me. Unless you’ve already started. If so, do share them with me! 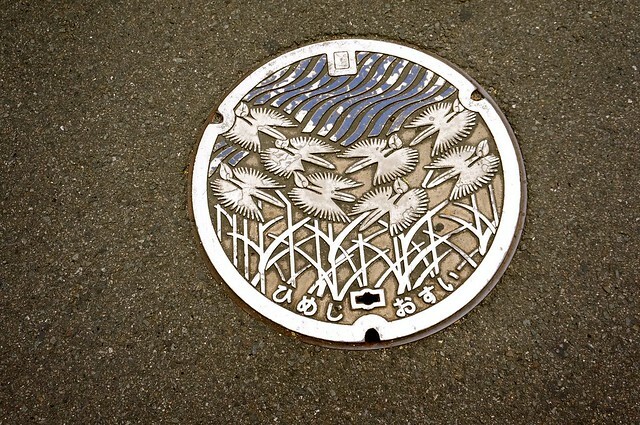 Like, I wonder if I go to Takarazuka, will I see manholes featuring Takarazuka or characters from Osamu Tezuka’s works? Also, I love saying manhole within another context. 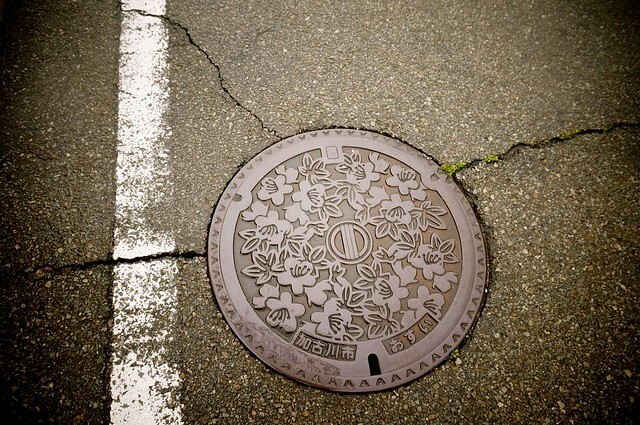 There’s a coffee table book about Japanese manholes called Drainspotting, but what’s the fun in that? 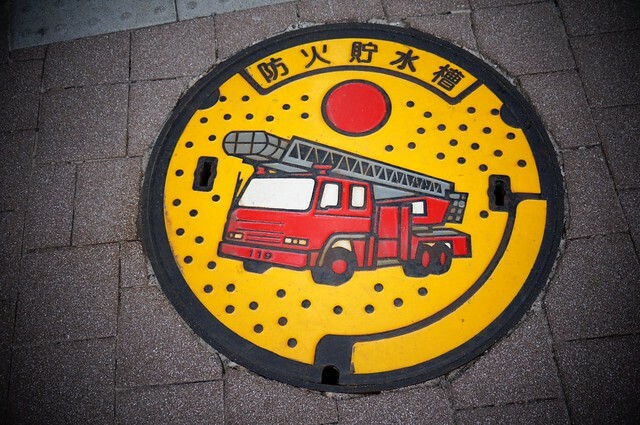 There’s also an awesome flickr group and blog featuring these Japanese manholes. 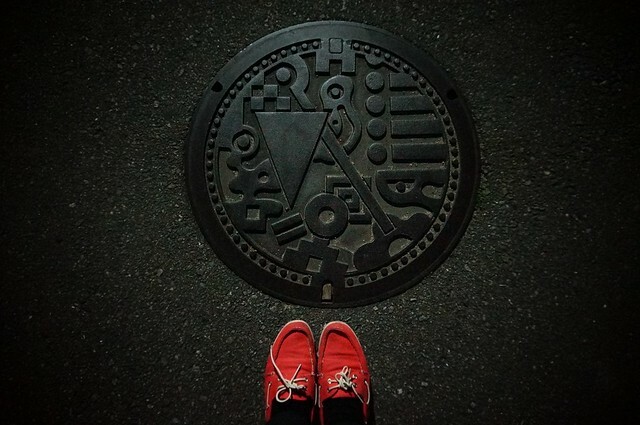 And if you feel like joining Japanese enthusiasts with their manhole hunt, you can even join Japan’s Manhole Cover Society. Maybe the one with the firetruck serves a specific purpose and is code for something? 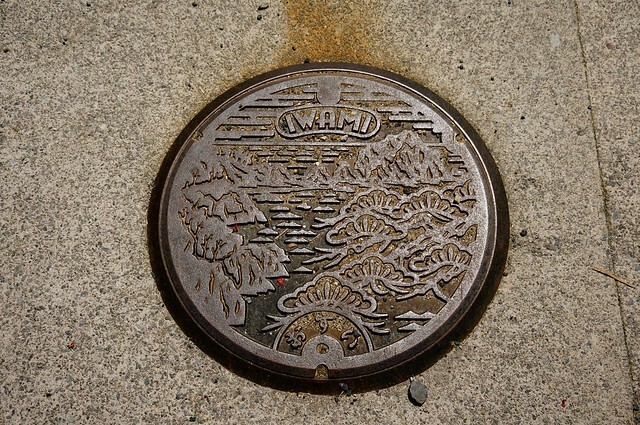 I remember watching a dorama before where one character said that the specific manhole (snort) they were looking at is for water/sewage and not electricity. Yup. That’s definitely firetruck for water supply that’s why it’s found in the lot of places. ; w; And yeah, most of the ones I showed here are for water supply. It’s indicated if it’s for water or electricity.